Today I am really pleased to welcome another guest blogger to Floor to Ceiling Books. 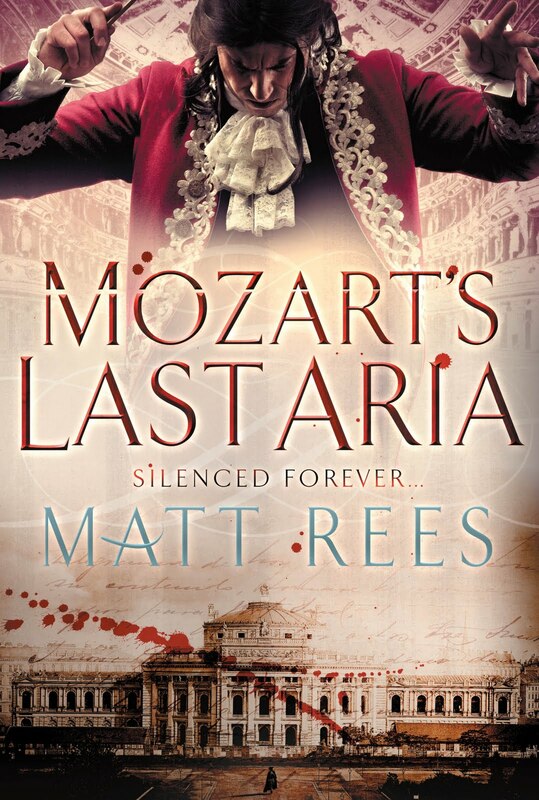 This time it is one Matt Rees, author of Mozart's Last Aria. First of all, we'll hear from Matt and then I'll show you a little bit of info about his novel. "When I first had the idea for MOZART’S LAST ARIA, my new historical crime novel about the death of the great composer, my picture of the Maestro was no doubt similar to that of most people: he was a bit of a buffoon who somehow managed to write sublime music. It turns out to be an idea coloured by some snobbish letters by Imperial Viennese artistocrats who thought Mozart rather gauche. But it was cemented in the public imagination by Amadeus, Peter Shaffer’s stage play which was directed so successfully for the cinema by Milos Forman in 1984. As I researched the book, I saw that Mozart was far more complex, intelligent and liberal than he has been given credit for. Of course, for a crime novel set in an autocratic police state, all of those elements of his character are very useful – because they’re so dangerous. Wolfgang’s letters and his friends’ recollections show that he was a deep thinker who had great admiration for Enlightenment ideals. That would’ve put him in jeopardy with the Emperor’s spies much greater than the risk he faced from Court Composer Salieri, whose jealousy is credited in Amadeus with Mozart’s murder. Wolfgang was excitable after musical performances, but then The Rolling Stones have been known to drop television sets out of tenth-floor hotel rooms to let off steam and they’re no Mozarts. The Wolfgang I’ve come to know from my research and from intense listening to his music was no fool. He was one of the great minds of history, and I hope my novel will help rescue his reputation as an intellectual whose concern for his fellow man was rooted in a profoundly caring, warm personality. Mozart himself hinted to his wife that his intellectual life had endangered him. Six weeks before he died, he was promenading in the Prater Gardens of Vienna with Constanze, to whom he was married for the last nine years of his short life. He told her he had been poisoned, that he was to be sacrificed and knew he would die. His wife tried to cheer him up, but the conviction that he had been poisoned remained with him until his death in early December 1791. Further, Mozart was a member of a Masonic lodge that was more or less illegal and infiltrated by secret agents of the Imperial Secret Police. He may have been involved in espionage involving Vienna’s Prussian enemies. And in his last great opera, The Magic Flute, he espoused – by my reading – a provocative reinterpretation of Masonic regulations which could’ve put him in trouble with other Masons and the Emperor himself. To find out which of these – if any – turns out to be behind his murder, you’ll have to read the book!" Here is the official blurb for Mozart's Last Aria: It is 1791 and Wolfgang Amadeus Mozart is enlightenment Vienna's brightest star. Master of the city's music halls and devoted member of the Austrian Freemason's guild, he stands at the heart of an electric mix of art and music, philosophy and science, politics and intrigue. Six weeks ago, the great composer told his wife he had been poisoned. Yesterday, he died. The city is buzzing with rumours of infidelity, bankruptcy and murder. But Wolfgang's sister Nannerl, returned from the provinces to investigate, will not believe base gossip. Who but a madman would poison such a genius? Yet as she looks closely at what her brother left behind - a handwritten score, a scrap of paper from his journal - Nannerl finds traces of something sinister: the threads of a masonic conspiracy that reach from the gilded ballrooms of Viennese society to the faceless offices of the Prussian secret service. Only when watching Wolfgang's bewitching opera, The Magic Flute, does Nannerl truly understand her beloved brother once again. For, encoded in his final arias, is a subtly crafted blueprint for a radical new tomorrow. Mozart hoped to change his future. Instead he sealed his fate. Doesn't it sound fantastic? Mozart's Last Aria is out now and receiving some awesome reviews. Make sure you pick it up! 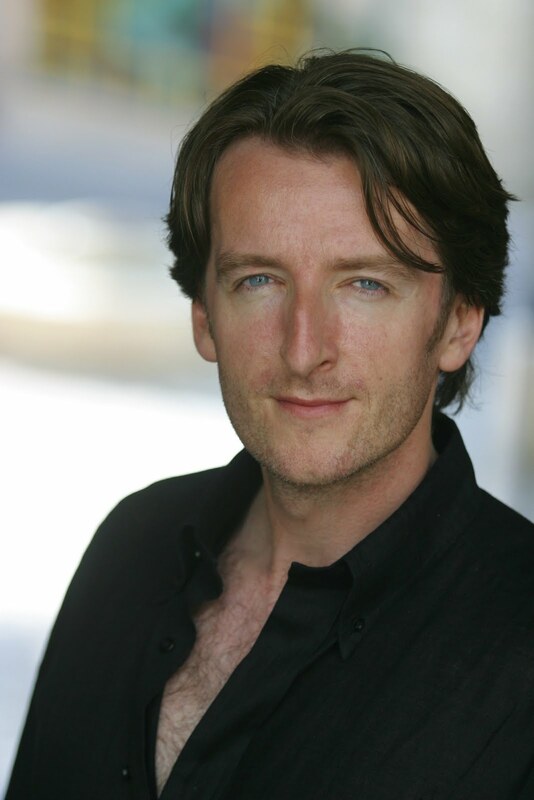 If you want any more information, Matt Rees can be found HERE and HERE. Okay. I love Mozart and I love conspiracy books! How did I not even know this book existed?! Thanks Amanda! Now, I must order it from the UK cause it doesn't come out here in Canada till November and I don't want to wait that long...plus the UK cover art is gorgeous and the US cover art isn't as good. Oh my goodness, this book looks awesome! I am definitely going to have to keep an eye out for that around November. Can't wait to read this. I've always thought Amadeus was brilliant nonsense. Even Schaeffer said it was a fantasy. Forman did a great job making the music the star.